Smoked in-house Beef Brisket, Pulled Pork, Ribs and more! If you're in the mood for some quality BBQ, bring the family by for a meal. We serve some of the best Beef Brisket, Pulled Pork and Ribs Around! 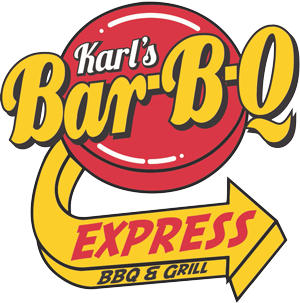 See for yourself why everyone is talking about the Karl's Bar-B-Q Express experience! Karl’s Bar-B-Q Express has been known locally as the best BBQ caterer in town. That same great smoky flavor had to be brought to a restaurant! GIVE US A LIKE AND A FOLLOW! Stay up-to-date with the latest news, EVENTS and specials! New to the menu and only available on Fridays!